The magic of history, the beauty of the coast enriched by the thousand colours of the various sea beds: a sailing itinerary to discover FVG from a privileged and exclusive standpoint. You will enjoy sailing in the Gulf of Trieste which offers various sailing itineraries to meet the needs of all; mirrors of protected sea to experience your adventure first hand (kayaking and horses in the lagoon, scuba diving in protected marine parks), and various excursion options and experiences ashore (historical, cultural, wine and food and even ultra-national nightlife). Enjoy the surprise of new discoveries from our sailing boats. 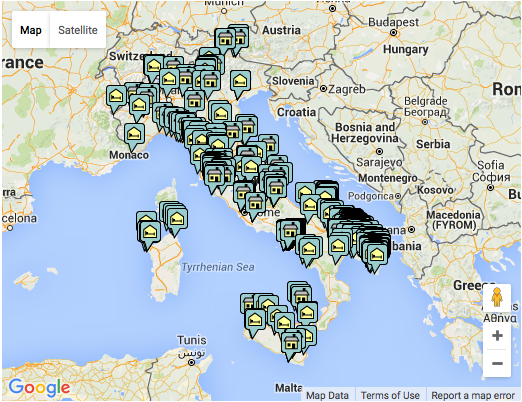 Day 1 - Welcome to Muggia! On Saturday morning arrival at our base in Muggia, where our skipper will be waiting on the pier to take us on board. After a prep briefing on our navigation plan and on-board equipment, we will set sail to discover the beauty of the Gulf of Trieste. Everything seems within reach: Slovenian Mountains and the Julian Alps on one hand and the pinewood of Grado, Punta Savudrija (HR), and Pyran (SI) on the other, which seems to embrace this eastern edge of the Upper Adriatic and surround it almost in a lake. Disembarkation at Grignano, a small marina popular among locals for having being a refuge to Maximilian of Hapsburg searching for shelter from a strong bora storm. Be it true or a legend, the place is extremely fascinating enclosed by a karst embankment characterising the coast of Trieste. 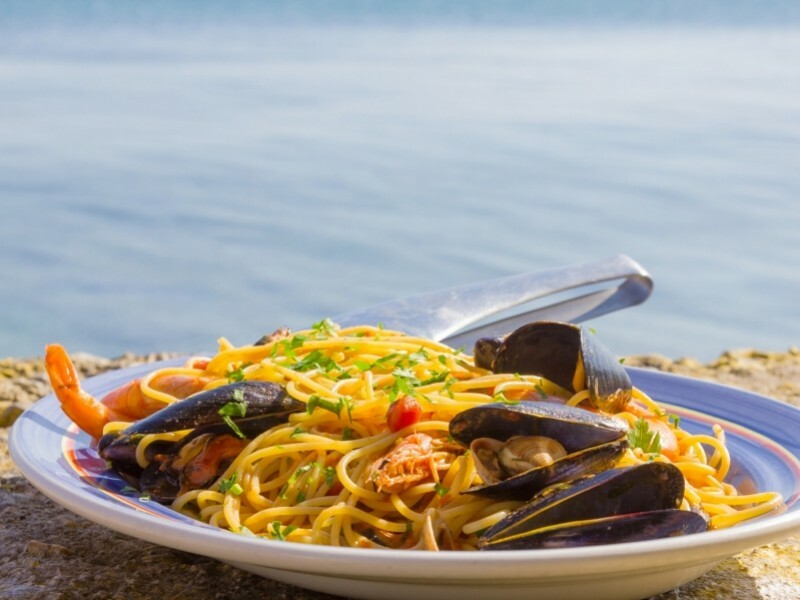 At the foot of the headland is Miramare’s natural marina Reserve, where you can go deep-sea diving and take sea watching guided tours which allows you to observe a wide variety of environments. This guided tour near the Bay of Grignano and the nearby Castle of Miramare is an unforgettable experience, thanks to the breath-taking landscape from the Castle and sea watching. You can also visit the amazing park personally designed by Maximilian of Hapsburg, Emperor of Mexico and Franz Joseph Emperor of Austria´s brother. And of course the beautiful Castle of Miramare symbol of the entire city is a must see. The boat is of course at our disposal for a dip in the sea surrounded by this beautiful landscape. Back to our base at sunset, and while sailing in this fascinating setting, we will have a refreshing drink with a snack on board enjoying the amazing view of the Gulf. Dinner of your choice and overnight stay on board. After breakfast, the skipper will give us the material for an immersion in the karst and Alpine Nature Reserve of Val Rosandra-Dolina Glinščice: back around the year 1930 the famous climber Emilio Comici organized the first courses of mountain climbing a zone where the karstic plateau is etched by a valley and where the only Trieste Karst surface water flows, the Rosandra-Glinščica Torrent. You can get to the town of San Dorligo della Valle by yourself at the bottom of the valley precisely where our itinerary starts and enjoy an immersion in history walking along the remains of the Roman aqueduct, source of supply for the city of Tergeste in the first century. The reserve includes the south-eastern part of the province of Trieste and then extends beyond the border with Slovenia in the territory of the municipality of Hrpelje - Kozina. Val Rosandra represents a natural link between the sea and the hinterland and has always been used for commercial traffic. We recommend you get to the little church of Santa Maria in Siaris of the XVI century along its ancient trail and stop for refreshment in the path along the Italian side of the valley (Premuda refuge-Trattoria Bottazzo (local restaurant). You can be accompanied by an alpine nature guide if you want to. After an entire day in nature, back to the base to sip an aperitif aboard and relax lulled by our sailing boat. Dinner of your choice and overnight stay. After breakfast we head to another area rich in history and nature sites: the white cliffs of the Castle of Duino. Sailing is a great opportunity to admire the landscape of the coast of the Gulf of Trieste. Farther away from town, you can cherish the core of maritime trades (Porto Vecchio and Porto Nuovo), the hills in town and of course its castles (San Giusto and Miramare). Beyond the Bay of Grignano we continue sailing along the harsh nature of Trieste´s coast up to Sistiana Bay where the wild and natural karst embankment overhangs the sea. Once we get to our destination we moor in an exclusive marina at lunch time: Portopiccolo, a sea-side structure with residences for tourists, exclusive services and incomparable beauty. Light lunch for us in a restaurant in the village of Portopiccolo, certainly a must visit. The day goes on with various activities. The nearby Sistiana bay is a short walk away and offers kiosks, bathing establishments and promenade along the sea to spend the afternoon and evening. If you love trekking, enjoy the excursion with a breath-taking panorama. We will climb from Sistiana bay between the road and ladders through the grove of the karst embankment until we get to the top on which you will find the beginning of the famous Rilke footpath (1700 m long, 60 m high, overlooking the sea), a panoramic promenade along the Natural Reserve of the Duino cliffs. At sunset back to the marina to change our clothes and start the evening at leisure in the exclusive Portopiccolo or in the nearby Sistiana Bay. 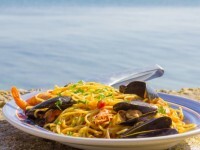 Dinner of your choice and overnight stay in the port. After breakfast we sail to Grado, tourist centre and spa, also known as the Sun Island and the First Venice. Getting closer to the Lagoon, enjoy the orographic morphological change from the cliff to the lagoon, where the Isonzo inflow in the Adriatic Sea presents a very peculiar topography protected today by the Natural reserve. We dock at Grado at lunch time and while having a walk searching for a place to eat a snack, we discover that history also plays a leading role here: the Venetians have left invaluable traces. 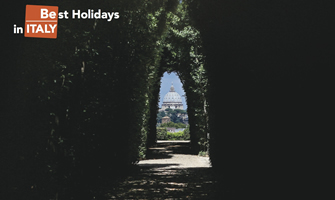 The early Christian Cathedral, the octagonal shaped baptistery and the ancient Roman traces are a must see. The beach resort, free beaches and Acquapark on the other hand, are furnished for sun tan lovers with quality services. Canoe trips on reservation in the nature reserve of the Cona Island or equestrian activities is also offered. Dinner of your choice and overnight stay on board. After breakfast we will drop anchor and perceive how nature expresses itself with unique fascination in the lagoons of Marano; in this way you will enter an exceptional microcosm, a real paradise for nature lovers, which run alongside the coast of Friuli Venezia Giulia. 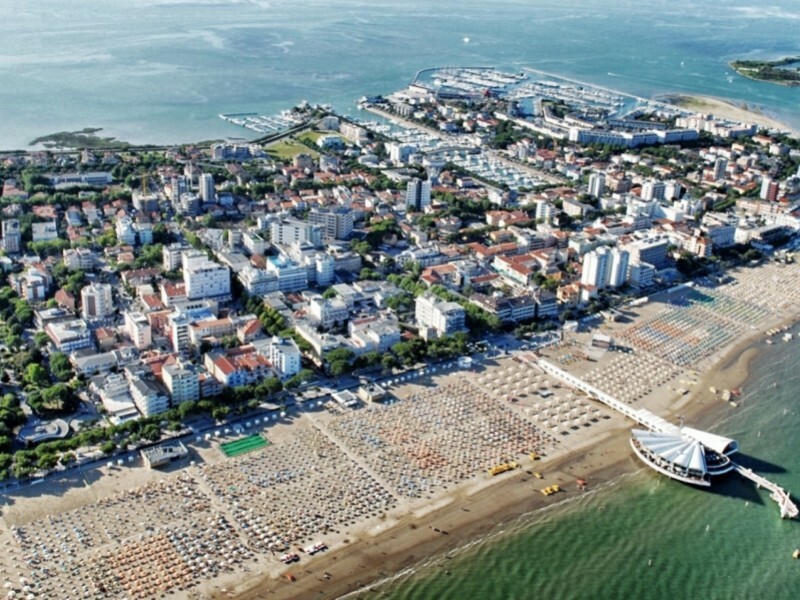 We then head to Lignano Sabbiadoro with its enchanting beaches and bustling life, typical of a tourist and beach resort centre along the Adriatic Riviera. We go ashore, and spend the day enjoying this popular sea resort also named "The Florida in the Upper Adriatic" by E. Hemingway. Don’t miss a walk on the seafront with a wealth of open-air bars and pubs and of course where you can take long swims and sunbathe. 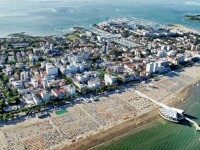 Besides its beaches, Lignano is known for its green areas, theme parks, bike trails, botanical garden zoo and much more. Lunch and dinner of your choice and overnight stay on board. After breakfast we will experience a real sailor´s day sailing up to the high seas of the fascinating pyran (Slovenia), where we will discover the coast on the other side of the Gulf of Trieste, to see it all. 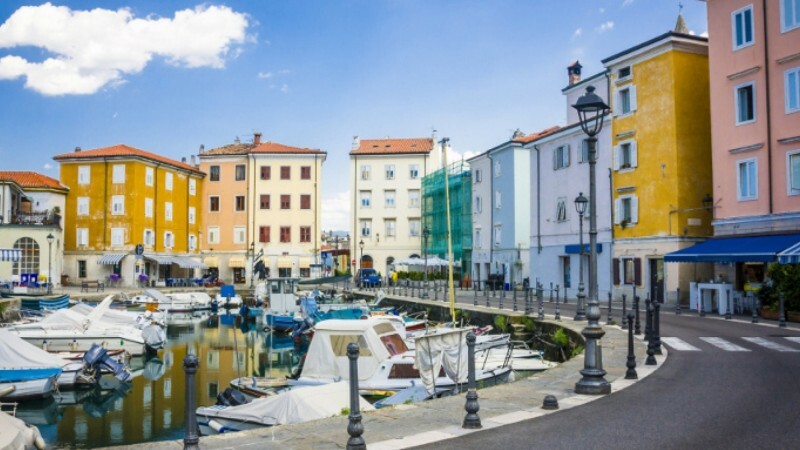 We dock in the lively town founded by refugees from Acquilea who fled from the coasts of Friuli Venezia Giulia following the invasion of the Huns. 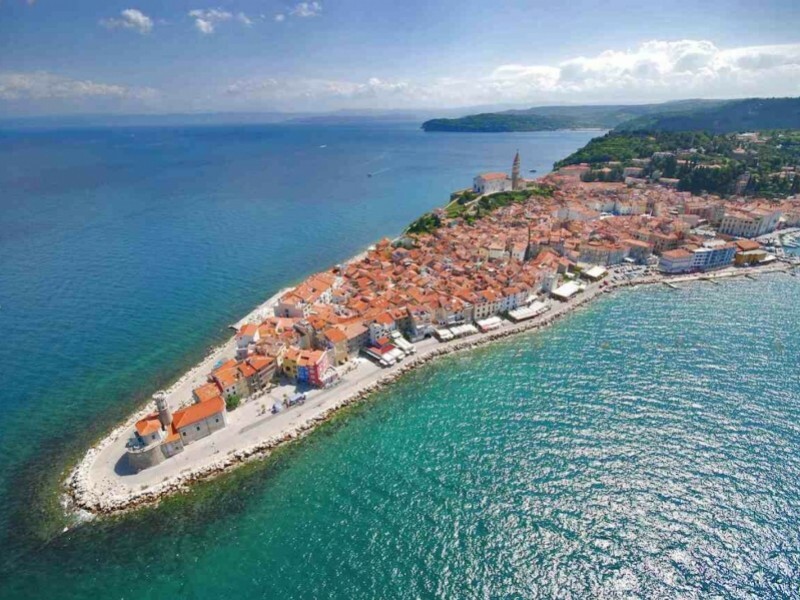 Piran is now a typical nice town of the Istrian Peninsula, a blend of Slavic and Italian culture. The small coloured houses and the coast language are typical of this town extending into the sea where you can enjoy a fresh fish lunch in one of the many restaurants overlooking the sea. A must visit in the evening: the nearby Portorož offers an exceptional location for an evening at the Casino and a sensational bay to be enchanted by the charm of the boats moored in the harbour by the stars and breeze. After breakfast, we will spend the day bathing. Our experienced skipper will take us to isolated bays with constellations of intense colours, typical of clean sea beds and crystal clear waters. The cherry on the cake is a rich cultural menu of food but we refrain from eating too much because we still have an entire afternoon to relax and enjoy the unique fascination of nature. Toward evening we return to the picturesque Muggia, the only Istrian town left in Italy where the lovely town will welcome us to choose where to spend the last night on the coast of Friuli Venezia Giulia. Dinner of your choice and overnight stay on board. After breakfast we go ashore for the last time to say "goodbye and safe journey!". 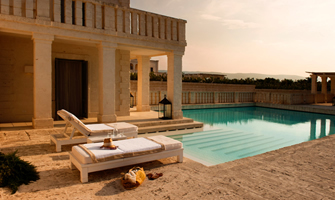 extras and everything not included under the item "The amount includes"
This itinerary can be changed the other way round or on request from one of the stop-overs described. On request child fee 3-12 years free in double cabin with two adults. On request extra charge for a single cabin This package is for a minimum 4 participants fully paid. The last night may be spent in a hotel for practical reasons.